Published towards the end of last year were the five volumes of my Joining the Dots Singing – subtitled ‘A Fresh Approach to Sight-Singing’. The Joining the Dots series already contained books for piano, violin, and guitar, but when the opportunity to do a series of sight-singing books arose, you couldn’t hold me back (though it took a long time to get it right!). 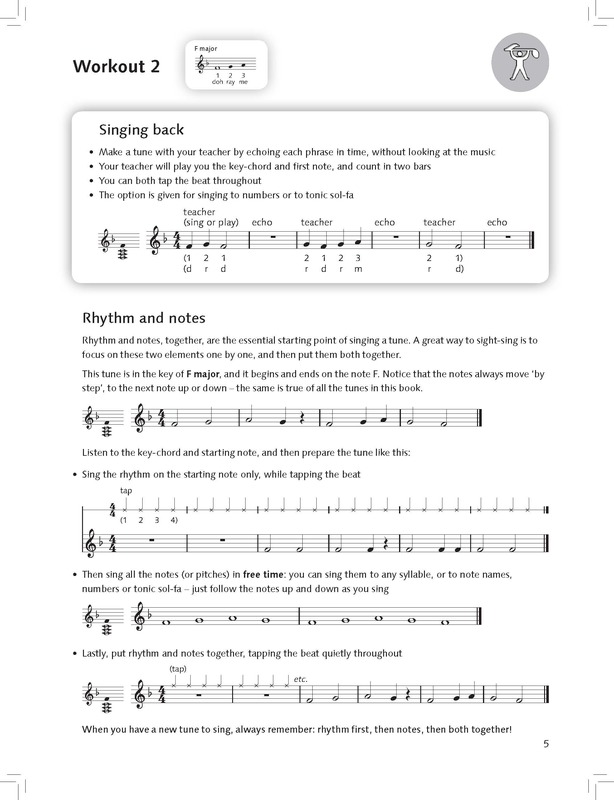 The Workouts lead on the Make Music sections, which, using an approach which is not primarily notation-based, contain activities which will help to familiarise pupils with the ‘feel’ of a key centre and of different intervals. 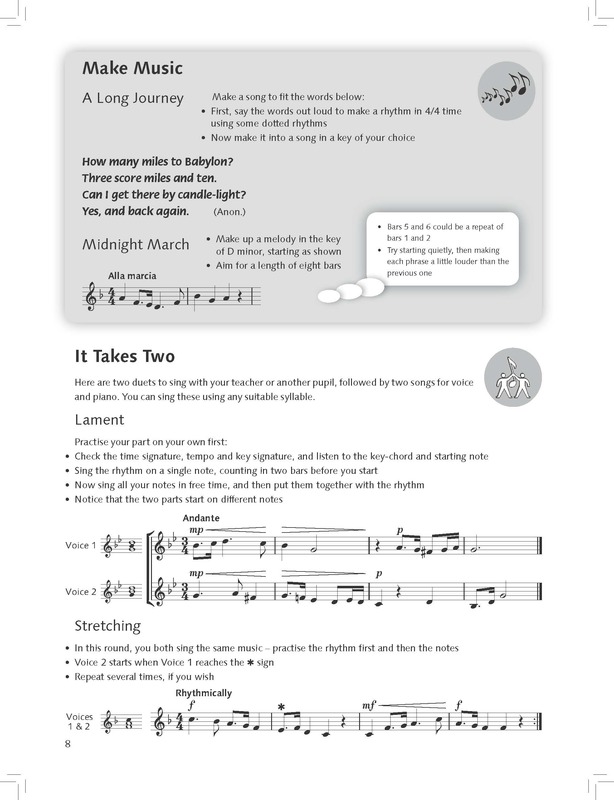 Further sections include It Takes Two, where pupil and teacher (or two pupils) can work together on the techniques used, building confidence through duets, rounds, and voice and piano songs, leading to the Read and Sing section which provides sight-singing exercises similar to those in the exam. Finally, there is a page of Songs with Words for pupils to sing together, cementing what has been learned and preparing for the next book. As a composer of choral music, I’ve worked with many choral singers, and as a teacher, I have taught sight-singing and general musicianship for many years. There is no doubt that quick and efficient sight-singing saves a great deal of time in choral rehearsals, and also helps instrumentalists to internalise the music they are playing – thus, in both cases, achieving more efficient learning and more time to develop the musical details and performance skills. This article was originally published on Alan's blog on 7 January 2016.